Perfect for sports kits and sleepover essentials our pink ditsy floral print drawstring bag is a stylish yet practical accessory for your little one. This bag is easy for little ones to carry due to the lightweight cotton fabric. 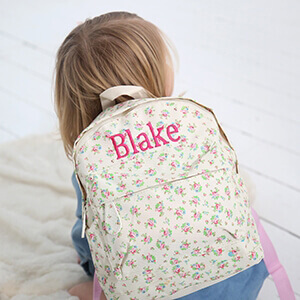 Your little one will love their bag, even more, when you personalise it with their name or initials using our free personalisation service.